Should Hockey Players Be Taking Creatine? Being a nutrition specialist I find it kind of funny that I get just as many questions (if not, more) about supplementation as I do about food. Nevertheless, performance supplementation can improve your hockey performance when used properly and in the right context. Oftentimes I only ever suggest 3 – 5 products per athlete that I work with. Sometimes more, sometimes less. That is dependent on a lot of factors such as lab work, budget, training age, adherence, and targeted systems for performance. 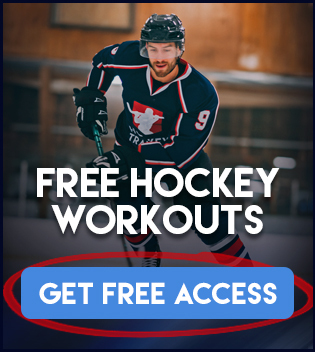 In this article I am going to examine the popular types of creatine on the market and whether or not they would be beneficial to hockey players. Understanding the demands of the sport allows you to properly gauge what type of performance nutrition is ideal for hockey. As I went over in my previous article Hockey Conditioning 101, hockey is an alactic-aerobic sport. Meaning, it is performed with short bursts of very high-intensity efforts interspersed by low-intensity bouts. For example, skating as fast as you can down the ice, letting a slap shot go and scoring. This is very intense movement followed by a slow stroll either back to center ice or to the bench. Different energy systems support different forms of movement. Your body’s aerobic energy pathways are primarily responsible for long duration, low-intensity movement. Examples could include jogging, skating slowly, walking, daily tasks, etc. Whereas your body’s anaerobic energy systems are responsible for high intensity, short duration movement. This is why the 100m gold medal winners aren’t also the 400m and 800m gold medal winners, different energy systems fuel different performance requirements. There is no “catch all” athlete that gets gold in everything, not even in the 1% of the genetic supreme. Hockey being an alactic-aerobic sport puts a major emphasis on the anaerobic energy component. You want to be performing at your best during the bouts of high-intensity effort, because it is at these points of the game where it matters most. Shooting, skating hard, diving for saves, fighting for the puck, body checking — these are all anaerobic events. This right here is why creatine needs to be examined for hockey performance. For those of you who don’t know, creatine is already naturally made in the body. We use our own biological creatine stores to drive anaerobic movement on a daily basis. Creatine is also naturally available through food, primarily red meats and seafood. Creatine works through different mechanisms. It increases the amount of creatine that you have in your muscle tissue already; thus driving longer, stronger bouts of high-intensity effort. It acts as a pH buffer and helps recycle energy to be used again at the cellular level. Another function of creatine that many seem to be unfamiliar with is its consistent ability to boost testosterone levels in the research. Men between the ages of 18-35 consistently see elevated testosterone levels when regularly supplementing with creatine. So, to improve hockey performance from a nutritional perspective we have to ask ourselves, does creatine support the energy pathways and demands that drive hockey performance? Creatine does essentially exactly what hockey players need it to do, which is support the energy systems that drive repeated bouts of short duration high-intensity physical movement. Replicating the game from an energy substrate demand perspective almost identically. I want to make an important point here before moving further. The demands of the sport must be taken into consideration prior to choosing new supplementation. Somebody involved in an exclusively aerobic based sport would not benefit from creatine, even though it has “performance benefits” in the research, it wouldn’t matter from a context-based perspective because the performance benefit of creatine is not relevant to the energy system demands of their sport. So, if you’re a hockey player right now taking a bunch of supplements, you have to ask yourself if what you’re taking is even practical for performance enhancement in your sport. Is it beneficial for X group of people, or is it beneficial for hockey players? You better figure that out before you ever open your wallet. Now that we know what creatine does and why it will theoretically support hockey performance, which one do we go with? Creatine Monohydrate? Or another type of creatine? The supplement industry is always trying to find new ways to market new products and put higher price tags on these new creatine forms. Is it actually worth it though? Creatine monohydrate is by far the most extensively studied form of creatine, it is the old standby that has been around for what seems like forever. Many other forms have hit the market over the years claiming to have superiority over monohydrate, this usually comes complete with extreme hype and some humorous promises. In more recent years, in a crossover design Jager et al compared plasma concentration curves over an 8 hour period between creatine pyruvate, creatine monohydrate, and tri-creatine citrate. In the end, investigators concluded the very small plasma differences would not contribute to any additional benefit over creatine monohydrate due to creatine monohydrates near 100% bioavailability in oral form. So, there goes creatine pyruvate and tri-creatine citrate. Moving on, presentations at the ISSN even further shut down newer expensive creatines being not worth any extra money with Tallon and Child demonstrating Kre-Alkalyn (mainly marketed through its ability to remain alkaline and not break down in the stomach acid) has no further resistance to acid breakdown and did not reduce the rate of creatine to creatinine conversion compared to the much cheaper and equally effective creatine monohydrate. Those same researchers also showed creatine-ethyl-ester (CEE) rapidly degrades in the stomach even more so than creatine monohydrate, which remained almost entirely unaffected. The takeaway here is that this is just one of the many examples where the supplement industry tries to change something that is already good for no reason at all other then to try and create profit from it. Creatine monohydrate is still the king and it is also massively cheaper than all of the above. Also, when you think about it from a performance-based standpoint, why are there even different creatines on the market anyways? Regardless of how expensive your creatine is, there is always going to be a limit to total intramuscular creatine saturation anyways (160mmol/kg dry weight). There are strategies such as combining it with carbohydrates to increase speed of saturation, but still at the end of the day you won’t increase the capacity at which can be stored, so you’re not getting any additional benefit once intramuscular storage has been met. You can’t pour more water into a glass that is already full, you also can’t add more creatine to a muscle that is already saturated. The loading phase is absolutely a secondary concern unless you are under some sort of athletic time restriction. For example, you have never taken creatine before and you’re in the middle of your offseason and hockey camps are coming up soon. In that case, it makes sense. Let’s get more benefit sooner than later. Often time’s athletes will combine creatine with carbohydrates, or load with 20g creatine monohydrate per day for 5-7 days and then maintain with 3-5g per day afterwards. Following protocols like this, there have been measures of 1-2kg increases in lean mass seen in the first 4-28 days within clinical trials. But on the other hand, the exact same degrees of saturation can be met with 2-3g per day for 30 days. So if maximal saturation can be met with the cheapest and most proven creatine on the market, why are supplement companies continuing to pump out new types? The search for the “ultra creatine” doesn’t make a whole lot of logical sense. To drive the point home, the intramuscular saturation of creatine in a hockey players muscles will absolutely improve his/her performance on and off the ice. It will support the energy system needed to powerfully execute explosive skating, body checks, shots, saves; you name it. If you’re a hockey player playing the game the way it should be played, creatine will support your game on the ice. But it will also support your game off the ice as well. It is going to bring more strength and power to your weight training sessions/dryland training which in turn will allow you to emit a greater power and strength output which translates directly to improving your game. Strength and power play massive roles in top speed, acceleration, agility and explosiveness. Provided you are following a properly structured hockey training system, the addition of creatine to that system will make you a better hockey player by default of supporting the training process. One is exciting (through a false way) and gives you something to talk about at the water fountain, the other is scientific fact. Most people will choose false excitement rather than look at the data, so don’t think those articles will slow down any time soon. By the way, zero adverse effects on kidney structure and function; among many other health parameters have been seen in healthy individuals in both short and long term studies on daily creatine supplementation. Feel free to smile and walk away slowly. Science and performance enhancement is more important than perpetuating false beliefs. As far as protocol goes, if you’re under a time constraint; supplementing with 20g for 5-7 days and then dropping it down to 3-5g per day for maintenance is a good route to take. Of course, whenever taking creatine maintaining high levels of hydration is optimal as it pulls water into muscle tissue. Although this is nothing major at all, some slight water storage will only require modest increases in water intake. You won’t have to carry around a gallon jug of water, just have an extra glass or two per day when supplementing. 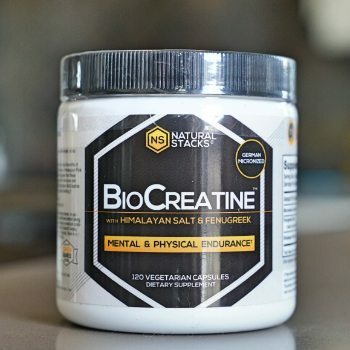 • In performance nutrition, I have to explore every possible pathway in order to support hockey performance at all levels, supplementing with creatine is on the list of things that are worth both your time and money. We have more hockey supplement recommendations in our Off-Season Hockey Training Program. 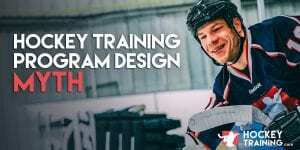 Check it out, and join the Hockey Training team! Great article. You didn’t mention age limitations. At what age is creatine recommended. 16 years old is the recommendation for Creatine. Good Stuff. How about when the best time to take it? before or after the gym, or both? and should it only be taken before weight and power sessions and not anaerobic training? 2-5 grams everyday is ideal. And you can take it anytime of the day. Before the gym or in the morning is what I do. What creatine monohydrate product do you recommend? And I’ve heard you’re not supposed to eat red meat with it is that true? Anything with the Creapure stamp on it is ideal and is going to be a guaranteed very pure source of creatine. Also, eating red meat while on creatine is fine, no problems there whatsoever.